Description: NO MAGAZINE SALES into NEW YORK CITY. CT buyers must furnish copy of state permit. This listing is for ONE magazine. 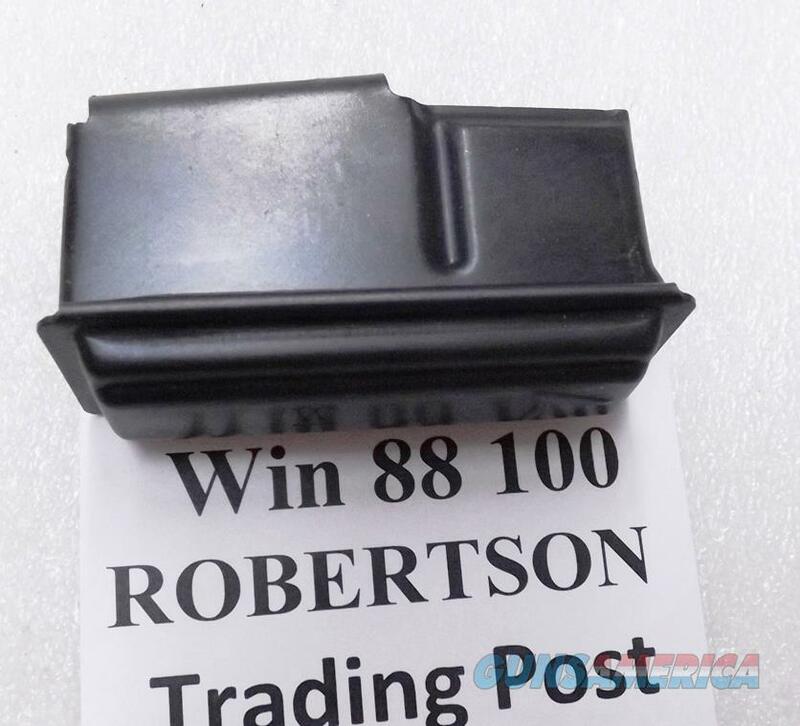 Here are US Made all steel magazines to fit the long discontinued Winchester 88 and 100 series rifles chambered in .243 Winchester, in .284. Manufacturer and warrantor is Triple K of San Diego, made on the original Winchester Olin milling equipment. Construction is folded steel body, with 4 rear side spot wells,, crimped steel floorplate, steel spring, and alloy cartridge follower. Each magazine holds 4 rounds of .243, .284, or .308 Winchester caliber ammunition. Finish is brushed surface blued steel and coated alloy follower. Replacement pricing on these magazines often runs $100 apiece. We’re offering the Triple K factory spec magazines in the photos, however, or their identical mates	each	for only	$ 59.00. Not for sale to residents of New York City. Connecticut buyers must furnish us a copy of your State Permit.